Linda continued her recent good form today (23/8/2012) when Strategic Action won a six furlong handicap at Folkestone. Under Saleem Golam, he tracked the leaders on the stands rail and found room to go up and challenge approaching the furlong from home marker. 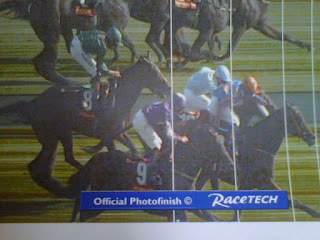 In an exciting three way battle he ran on strongly to take the race by a neck and a head. 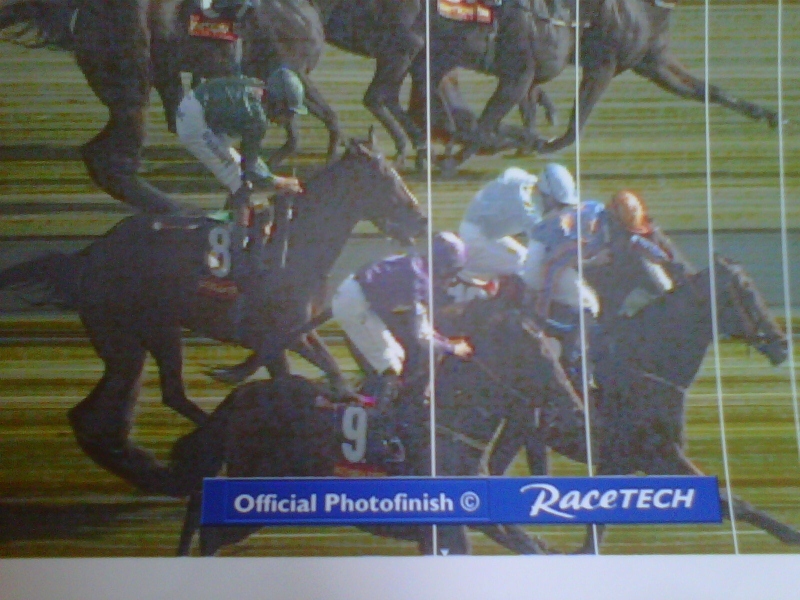 (Pictured above:- Gillian Ransome leads in her winner). 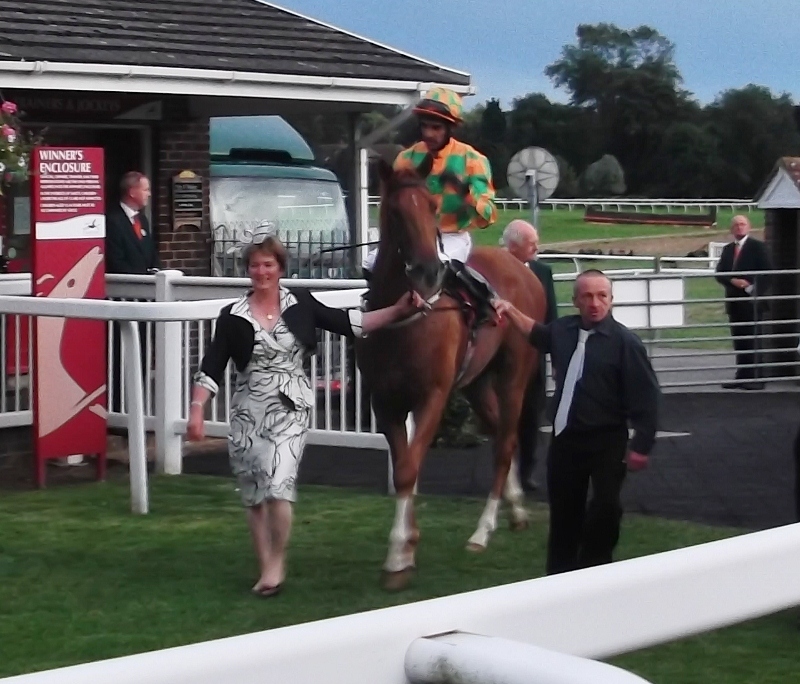 Linda had her first winner from Saywell when Rowe Park won a 5 furlong handicap at Newbury (5/8/2012). Followers of this blog should have been on the 15/2 winner as his return to form was highlighted in the previous post. Again ridden by Saleem Golam, Rowe Park jumped out well and tracked the leaders for the first half of the race. He made a forward move two furlongs out and in a three way battle to the line he gamely refused to give in, winning by a head and a neck, earning a prize of just over £5000.